Infants should not drink juice AT ALL before the age of one year old, unless it is clinically indicated by a doctor. Toddlers ages 1-3 should be restricted to no more than 4 ounces of juice daily. Children ages 4-6 should be limited to 4-6 ounces of juice daily. Children ages 7 and older should have no more than 8 ounces of juice each day. Juice should be seen as a "treat" or extra. The high sugar content (whether it be natural, organic, or artificially flavored) and acidity greatly outweigh the minimal nutritional value. 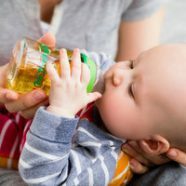 It is crucial that toddlers not be given easy access to juice through the use of bottles or sippy cups; these types of containers allow them the convenience of consuming juice throughout the day. Repeated exposure to carbohydrates (sugars) can lead to tooth decay. Toddlers should not be given juice at bedtime and all children should brush their teeth before going to bed each night. Children should not have anything to eat or drink between brushing their teeth and going to bed besides water. For parents who want their children to enjoy the taste the fruit and benefit from the nutrients that fruit provides, the best option is to consume actual whole (or mashed/blended) fresh fruit. 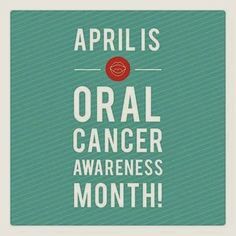 Over 48,000 people are newly diagnosed with oral cancer each year, which is about 130 people each day. Throughout the year, a person dies from oral cancer every hour of every day. Oral cancer deaths have a historically high rate due to the fact that they are typically discovered late in their development and after metastasis to other tissues, organs, and lymph nodes has occurred. Smoking and tobacco usage -- especially when consumed along with alcohol -- are major well known risk factors for oral cancer. However, the HPV virus has emerged as an even greater risk factor for young people: the fastest growing segment of oral cancer patients is young, healthy, non-smokers who carry the HPV virus. Poor diet and nutrition is also considered a contributing risk factor. Some of these symptoms describe other conditions of the head, neck and mouth, but it is still important to have Dr. Jacques or Dr. Lauren perform an exam and, if necessary, monitor the problematic area or symptom. Oral cancer awareness among the general public is relatively low. The best measures for combating the disease are education and awareness so that risk factors can be avoided and the disease can be detected as early as possible. At Jacques Dentistry, an oral cancer screening is part of your routine periodic or comprehensive exam. If you are behind on your preventive care appointment, do not hesitate to call us or request an appointment online today. Since January is "National Hot Tea Month," it's the perfect time to extol the health benefits of tea. So brew a hot cup and read on! Besides warming you up on these frigid January days, tea has health benefits that include treating cancer and cardiovascular disease and fighting against obesity and diabetes. 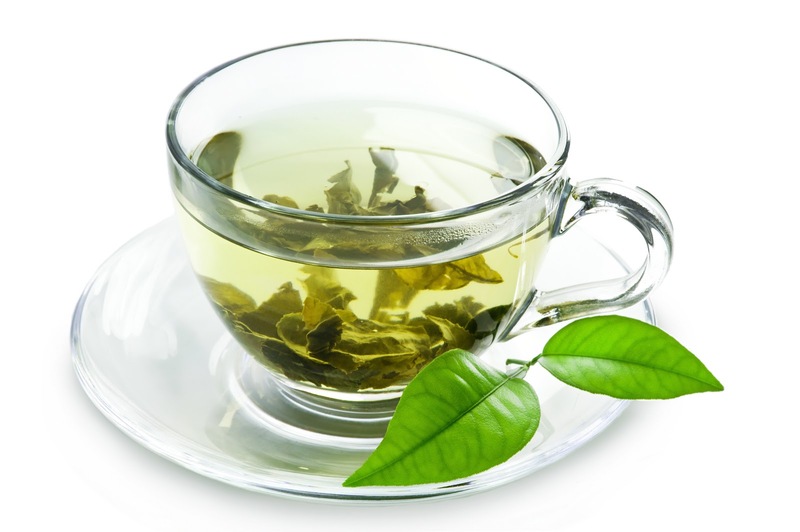 With all these positive effects, what's not to love about tea?! Well, there is the caveat that habitual tea drinking can lead to tooth discoloration and staining. While not totally preventable for heavy tea drinkers, drinking through a straw, having regular teeth cleanings by your dentist, and teeth whitening can all help combat this issue if it arises. And avoid sweetening your tea with sugar, which could lead to an increase in cavities -- especially if you are sipping frequently. What's the deal with xylitol? 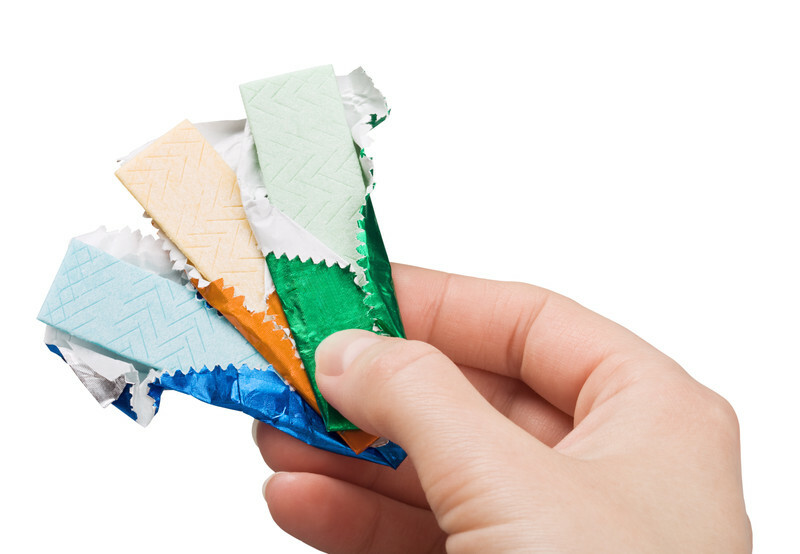 You may have read about us promoting the oral health benefits of the Daily 4: brushing, flossing, rinsing, and chewing sugar-free gum that sweetened with xylitol. But what exactly is xylitol? Xylitol is a naturally occurring alcohol that can be found in most plant material. It is often extracted from birchwood. Xylitol can be used as a sugar substitute in toothpaste and mouth rinses, as well as in foods such as candy and gum. Most importantly, it helps to prevent cavities from forming. When you consume foods with sugar, the bacteria in your mouth feed off of the sugar and multiply. The growing bacteria produce acids that eat away at the enamel on your teeth causing tooth decay and the formation of cavities. In contrast, xylitol does not breakdown the same way as sugar and cannot be consumed by the bacteria. It helps neutralize the acids in your mouth, which helps stop tooth decay from occurring, and prevent bacteria from sticking to your teeth. Cavity formation can be greatly hindered by regularly using xylitol containing products. Some commons products are toothpaste and mouth rinses; xylitol can also be found in chewing gum and candies. By using the products several times throughout each day, your oral health can be positively impacted. The most effective benefits are seen with using xylitol five times a day. As helpful as xylitol is to your oral health, it should also be noted that some users initially experience diarrhea and intestinal gas, but these side effects usually subside over time. More importantly, the side effects for pets should be duly noted. The small amount of xylitol that is found in consumer products is extremely toxic to both dogs and ferrets; they can experience sudden drop in blood sugar, seizures, liver failure, and even death. So just like other health products made for humans, keep your xylitol products away from your pets! Used properly, xylitol is a great and effective addition to your oral health routine. Switching to chewing gum sweetened naturally with xylitol is an easy and convenient way to implement these benefits. Be sure to look for xylitol on the ingredient list and for the ADA seal of approval on the package!